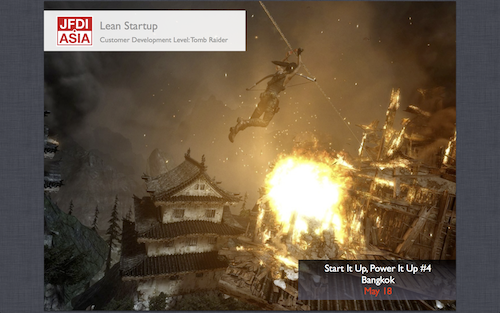 I started to think that running a Lean Startup is as if you are playing the video game — Tomb Raider — and before long, I will tell you what I mean. This is what we do week in, week out: to become Tomb Raiders. 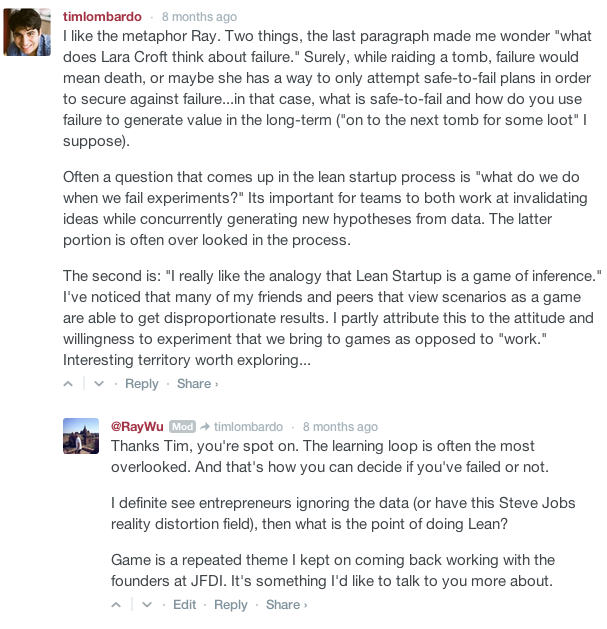 Through working with hundreds of entrepreneurs, I really like the analogy that Lean Startup is a game of inference. I imagine it’s like being Lara Croft in Tomb Raider, where as the game progress you become better and better at reading clues and unlocking secrets. Similarly, Lean Startup helps you become a domain expert. The goal is to be Lara Croft, the ultimate Tomb Raider. And your clues? They are from the conversations you have with your customers. It’s about getting to know your customers really, really well. Believe me, this gets me really excited. I felt like my 12 year old self playing Tomb Raider II. As the saying goes, ideas are worthless, and it’s the execution that counts. We believe that domain expertise is what set successful teams apart from others. Your early adopters and customers will tell you what you need and what to build strategically – and these are the clues. They will provide you with insights that help you recognize an opportunity to revolutionize a market with the technology you are excited about. By repeating the three aforementioned steps and continuously running experiments and collecting clues, you are able to become domain experts systematically. The only way to succeed is to get your foot in the door. Your beach head is where your early adopters are. 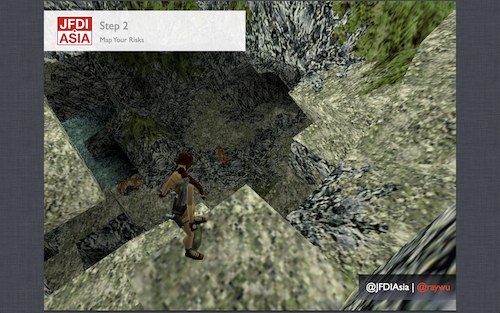 As a Tomb Raider, you are collecting clues to solve a puzzle. After you have done a lot of these data collection, you start to recognize a pattern. 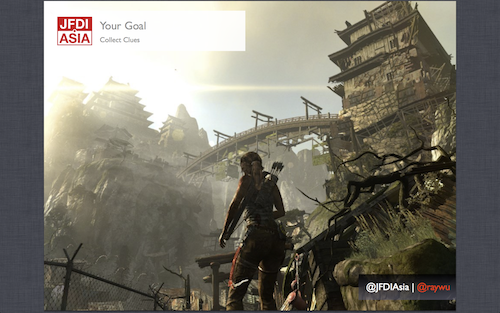 Your goal is to become the Lara Croft of tomb raiding. 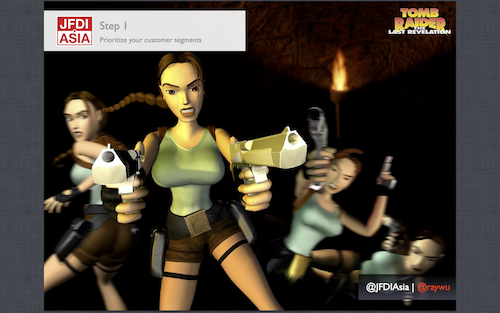 This is the first of the three steps to become Lara Croft, first you must identify the tomb you want to raid: form a hypothesis and prioritize your customer segment. JFDI Mentors like Kevin Dewalt and Justin Wilcox are two of the most diligent customer development practitioners. The first thing they did with our teams was to help them segment their target market. Focus on three key factors: Market Size, Accessibility, and Will they pay for value? 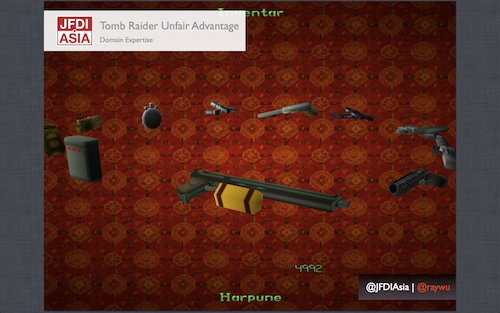 One of our teams, Duable, when they first started at the program, were not sure which tomb to raid. Duable is revolutionizing the Chinese Learning market: there are 120 million Chinese learners as of today. It is a big market. This came with plenty of ancillary markets, too: including the teachers, tutors, the students, parents of students, online learners; Duable needed to decide. Justin Wilcox taught them to assign a number between 1-3 to Market Size, Accessibility (channel), and how much are they willing to pay for value to each segment. You tally the score up by multiplying them. He has a blog post about this on CustomerDevelopment Labs which you should check out. This helped Duable prioritize their customer segment. When you have a target customer segment — basically your tomb — you need to minimize the traps by looking at a map. Your map is the Lean Canvas. It helps you visualize your entire business model. When our team Collabspot joined JFDI, it was growing at a steady single digit pace. They were making CRMs accessible in Gmail. We asked them to go through this exercise of mapping out their business model. What kept Collabspot up at night, was his channel. The Lean Canvas helped him mapped this out. 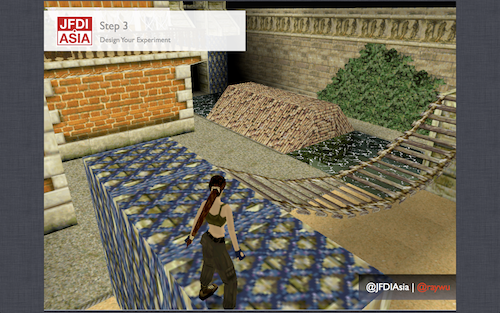 The last step in this three steps process to become Lara Croft: design your plan of attack. A tool I’d recommend here is the Validation Board, it helps you zoom in on your risk from the map. To pull all three steps together, our team Krake did very well. Their risk involved whether or not they could identify behaviors that suggested their value proposition was appreciated: they were going after recruiters. They believed that recruiters were wasting a lot of time qualifying candidates. It was a statement most recruiters resonated with. But most recruiters weren’t doing any thing about it. Only after interviewing 50 recruiters, did they find out that the independent IT recruiters were hacking boolean strings on LinkedIn. They did this because they only got paid when they placed a candidate fast – their motivation was the time constraint. These savvy recruiters even had a LinkedIn group to share boolean tricks! In the end Krake pivoted away from this market, but it was because through learning about their risks, they realized that their expertise did not match the requirements of this particular problem. As a bonus, Krake moved away from recruiting industry and took what they learned about behaviors of IT recruiters and applied to startups and SMBs – they are now growing their user base at double digit weekly and helping to bring big data to individuals. I don’t want to give you the cliché Lean Startup conclusion where I tell you to embrace “fail fast.” One key thing to remember: you do need to evaluate what you learn from the experiments. 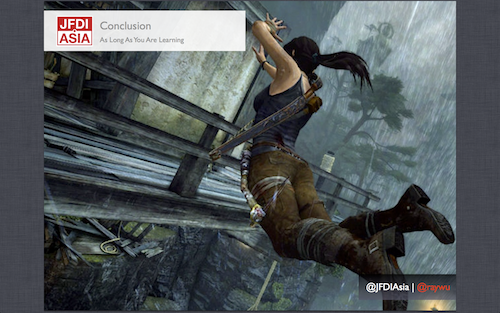 What I want you to walk away with is this: Lean Startup can be fun and rewarding, just like when you completed a stage in Tomb Raider. 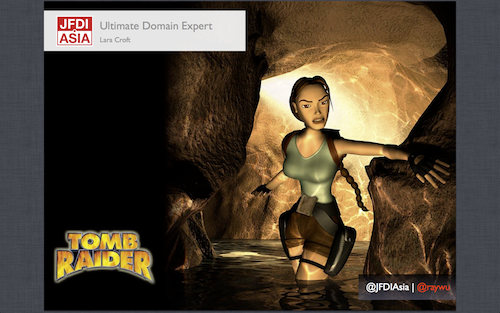 You can become a domain expert while you look for treasure in a tomb: eventually your clues will solve the puzzle.